Two exceptional Mediterranean artists Juan Carmona and Ptit Moh set to dazzle during their UAE debut. 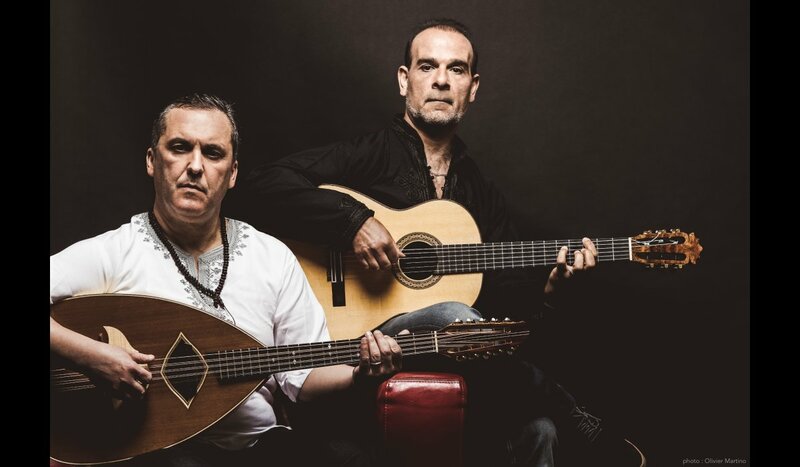 Abu Dhabi, October 7, 2018: Making their UAE debut, French maestro of the flamenco guitar Juan Carmona and chaâbi star of Algerian mandola Ptit Moh, bring an evening of dazzling musicality to The Arts Center at NYU Abu Dhabi. Experience a musical dialogue that reflects how each virtuoso expands the vision of their musical styles to include aspects of jazz and world music in their performance on Friday, October 19 in Chaâbi Flamenco. Recognized by the challenging flamenco puro world and by the international world music, Carmona loves to walk his duende on exclusive sound territories. And by working with artistic director of the El Gusto Orchestra, the mandolist Ptit Moh, a rich and common language between the two is formed. Carmona, born in Lyon after his family emigrated due to exile in the 1960s, picked up his first guitar when he was 10 years old. His talent was quickly spotted by professionals and after becoming an accomplished guitarist, Carmona headed to Spain, as he felt the need to join the land of his ancestors to reconnect with his roots and learn from the source of flamenco, in Jerez de la Frontera. After nine years of absorbing their knowledge in the purest flamenco tradition, he then recorded his first albums and won international awards including the prestigious guitar competition International de Jerez, finalist of the competition of the Union of Cordoba, and the great prize Paco de Lucia. Mohamed Abdennour, called ‘Ptit Moh’, is a child of traditional music. Ptit studied mandola after becoming infatuated by its harmony and arrangements. Now regarded as one of the most experienced and perfectionist of his instrument day, Ptit continues to compose and arrange music, while actively contributing not only in giving a contemporary overview of the mandola, but also in helping in the evolution of this instrument. He is also the artistic director of the El Gusto Orchestra and directs diverse records alongside Mick Jones from The Clash. Two music workshops will also take place as part of The Art Center’s Off The Stage program. Those interested will be able to learn from guitar masters Ptit Moh and Juan Carmona on the styles of flamenco and the mandola. The evening is presented in collaboration with the Institut français in the UAE, cultural services of the French Embassy, as part of the Emirati-French Cultural Dialogue.